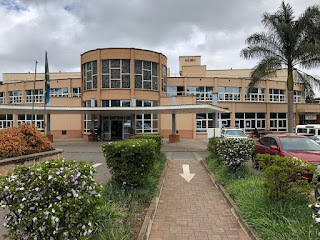 Our first day in Tanzania started with breakfast, and then we drove a very short drive from our hotel to the Arusha Lutheran Medical Centre. This hospital is supported by many ELCA churches, and its current status as one of the finest hospitals in all of Tanzania is a result of many people, but the leaders in this effort are Drs. Mark and Linda Jacobson. Pastor Glenn had met them several times, and his congregation in Austin supported the ALMC financially. We hoped to get a chance to meet them, but we found out they were out with other ELCA mission teams at the time. Nevertheless, we were given a grand tour by a man named Simba, who is responsible for the facility. We saw the IT area, the Ob/Gyn area, the imaging labs, one of the many laboratories, the ICU, the Emergency department, and probably more that I've forgotten. The single most impactful area we saw was the Neonatal Intensive Care Unit. 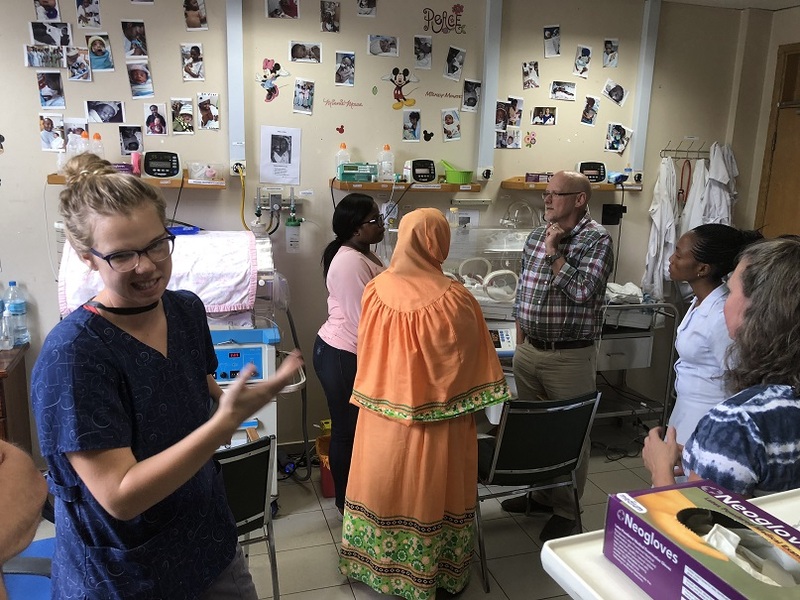 We learned that the leading cause of death for children in Tanzania is premature delivery, so the ALMC has invested in an ICU for babies to help combat infant mortality. 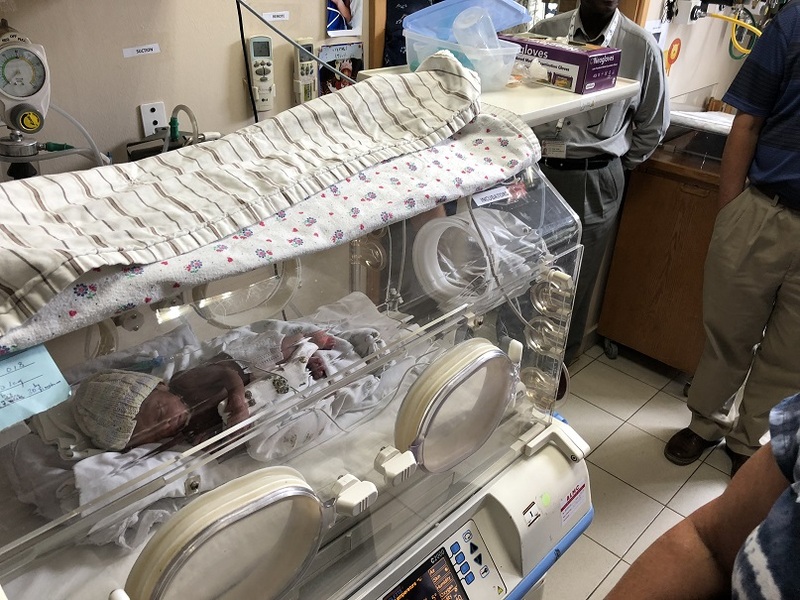 We met several people, including a nurse, Erin, who went to the University of Minnesota, now works for a hospital in the Twin Cities, but who is on a several month long assignment in the NICU. The entire facility was staffed by extremely friendly, welcoming people. And it was impressive in its modernity. 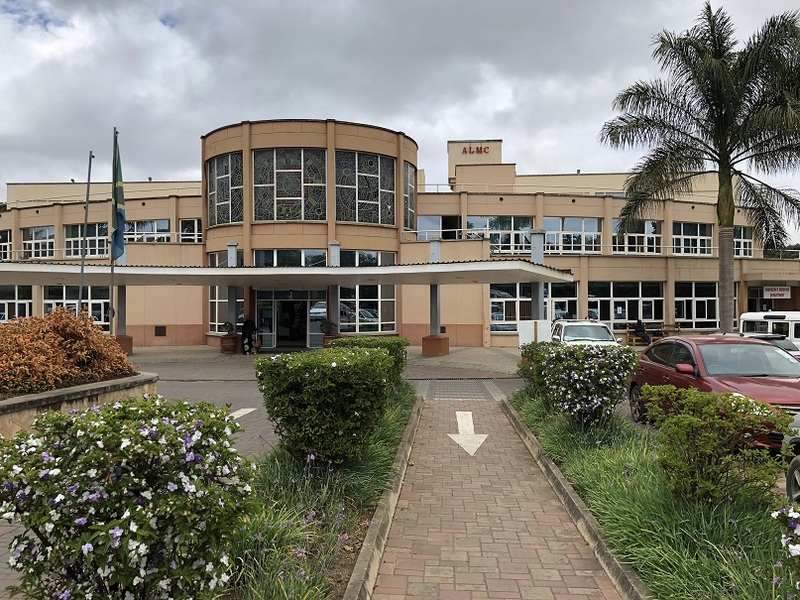 We are told we will see far less modern medical facilities as we continue our journey, and it is great to see that the support from the ELCA for the Centre is put to such life-saving use. 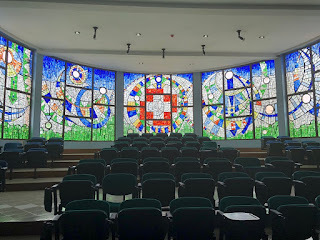 One final photo for this blog entry comes from the Chapel at the ALMC. 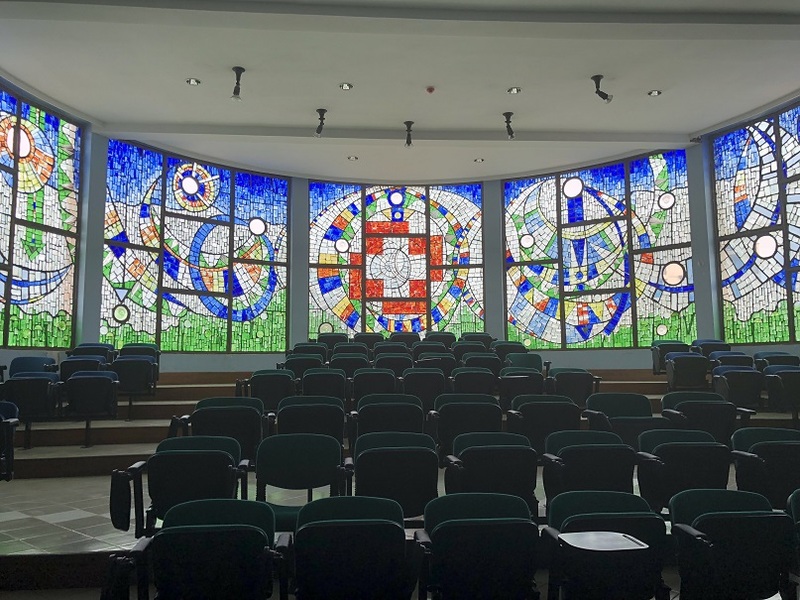 Five days a week, the staff gather for a chapel service in a large room with stadium seating and a lovely stained glass window. The day continued with other events, but as we all discussed our high points at the end of the day, the ALMC, and the NICU in particular, topped our lists. Today, Sunday September 23, Mount Olive included a Sending of the Team. We dressed up in safari clothes and had photos taken. Here they are. That one was taken so that you can see our faces. But when we are in Tanzania we expect to need sun protection so here we are with our hats! Big day. Far too big for a short post and a few photos. But I will try. First thing this morning (October 2, 2018) we went to the district office and participated in morning devotions with the staff. Then we had a short but productive meeting with Bishop Alex. Our schedule changed again, so we will get to do more. Here are the other four Travelers with Alex. Then we checked out of our hotel and drive about two hours to Kiomboi, where the Lutheran Bible Institute is. We moved into our rooms, ate a late breakfast and discussed our schedule with pastor Mpumpa, director of the institute, and Pastor Dr. Sypyrian Hilinti, assistant to the bishop. 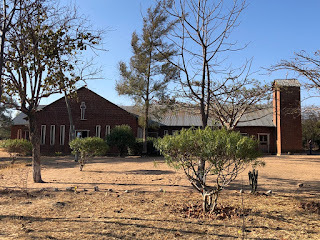 The majority of the Day was spent in Ruruma, which has the distinction of being the place where the first missionaries brought the gospel to, and soon after baptized, the first members of what has become a vibrant Christian community in central Tanzania. On Sunday, October 7, we finally were able to worship with our companion congregation -- the Kijota church for which we pray each Sunday. What an amazing experience. This post will be full of photos, so be warned! First, here's the church building itself. We arrived quite early, so that we could meet with the staff, have a little breakfast, and organize our participation in the service. That allowed me time to take a few photos before the pews filled up. Here is the altar area. I'm a husband, a father of four, a friend, a former president of a congregation, a writer wannabe.